Establishing where I was mentally with content creation aka. 'Making Changes To My Blog & Social Media Platforms' has provided me with such clarity and focus, that I now realize I'm going to have to play catch-up in the real world. So while I do think it's only fair that I endeavor to achieve the same successes offline, with some life goals... it's going to be hard. I mean, I would love to go freelance full time by September as much as the next guy, but this won't happen if I don't break down my thoughts and ideas into more manageable chunks. And that my friends, is why I am putting my best foot forward (that's my right foot to be exact) and coming at you with my top five attainable goals in twenty-nineteen. If I had a pound for every time I told myself that I needed to start saving in twenty-eighteen, I probably wouldn't be setting this attainable goal. But hey ho, it's imperative that at the age of twenty-two I should open an appropriate ISA savings account and begin the process of setting aside some rainy day funds. Perhaps if I started saving I could go travelling more or even buy more equipment for my photography business, let alone a small deposit for a house. I'm going to make a start on this by counting up my loose change at the end of every week. Okay yes, I have made a start with freelance life. I have my business model, I have a studio and I have all of the equipment I need. I have also managed to rebrand and relaunch my blog and am now in the midst of setting up a YouTube channel - I guess you could say I like to put my eggs in a lot of baskets. 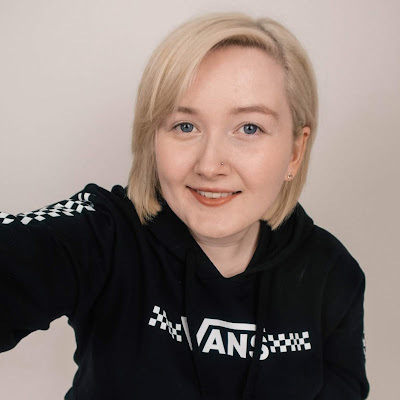 Speaking of eggs I did manage to land a second shooter/assistant role with Sarah Bryden Photography (one of my favourite photographers here in Northern Ireland) and I'll be shooting my first wedding with her on Easter Monday. Since January 7th 2019, I have managed to lose a total of 2 stone - but being active isn't really my forte. I have a bad habit of sitting in one spot for long periods of time, so now that Sam (our pupper) has fully recovered from surgery, I can finally get outside and start walking with him again. My friend Steph and I have also started a squat challenge and upped our water intake recently, so I would love to find other more creative ways to be active. Go travelling is and always will be something that remains on my list of attainable goals. I am by no means a home-bird and I love getting away - whether that's by road trip to Donegal, or Amsterdam for my 21st. I'm hoping Matthew and I will be able to see more places this Summer, like Scotland or somewhere abroad like Venice. However... if we go back to my first goal - I need to start saving in order to go travelling (I have this all thought out). After our car accident last year, driving has become something I completely and utterly avoid with all costs. I hate being a passenger in a car, so you can only imagine my distaste when it comes to having to move the damned thing. But regardless of this, I need to learn how to fight my own demons and I definitely need to grab my independence back, especially if I'm going to be shooting portraits up and down the country with Sarah Bryden. Disclaimer; sorry Mum and Dad, sorry Matthew - I know I can be a right pain in the neck, but I promise I won't rely on lifts from you forever. What attainable goals are you setting in twenty-nineteen?